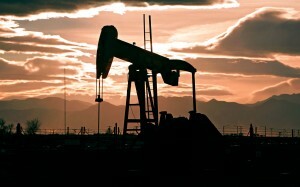 Colorado mineral owners filed a federal lawsuit against the Colorado Oil and Gas Conservation Commission (the “COGCC”) this past Wednesday, asserting that the COGCC’s authority to allow companies to drill on objecting residents’ land is unconstitutional. Colorado Rising, the activist group backing the lawsuit, recently suffered defeat of its November ballot measure that would have increased the distance between homes and drill sites to 2,500 feet. Colorado’s pooling law enables oil and gas operators to obtain an order from the state to combine the mineral rights held by various owners in order to create a cohesive drilling unit, even if the owners object. The Colorado mineral owners bringing the suit claim that this means they are forced to choose between either accepting unreasonable lease terms or having their mineral rights taken anyway and being subjected to steep penalties as a result. The lawsuit asserts that the Colorado Oil and Gas Act (the “Act”), which authorizes the imposition of severe monetary penalties on the holders of mineral rights who do not voluntarily take part in drilling projects, forces mineral owners to subsidize development they want no part of. According to the complaint, the Act grants privileges to companies that are not for a public purpose and therefore constitutes a violation of the privileges and immunities clause of the Constitution.